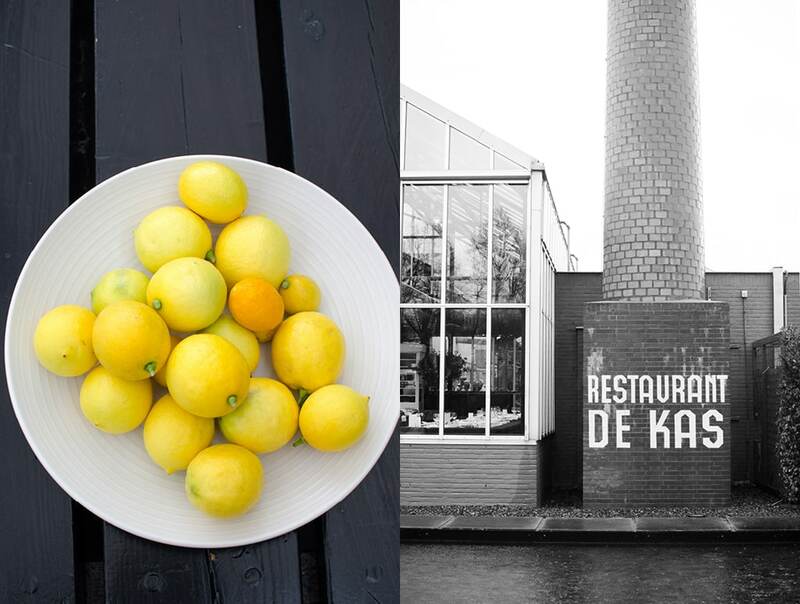 On a recent visit to Amsterdam, high on my list of places to visit was the restaurant De Kas. 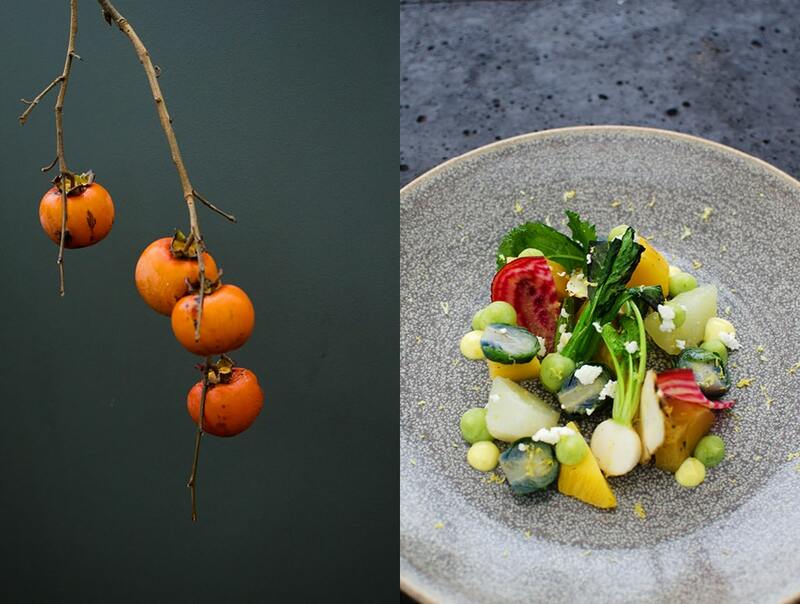 I have followed the career of De Kas chef and food pioneer Gerd Jan Hageman, one of the driving forces behind farm-to-table cooking and sustainable produce management, and was excited to taste the fruits of his efforts. I made arrangements to meet some of the team members at De Kas, and on our first morning in Amsterdam we set out to Frankendaal Park in the East of Amsterdam to have a look. 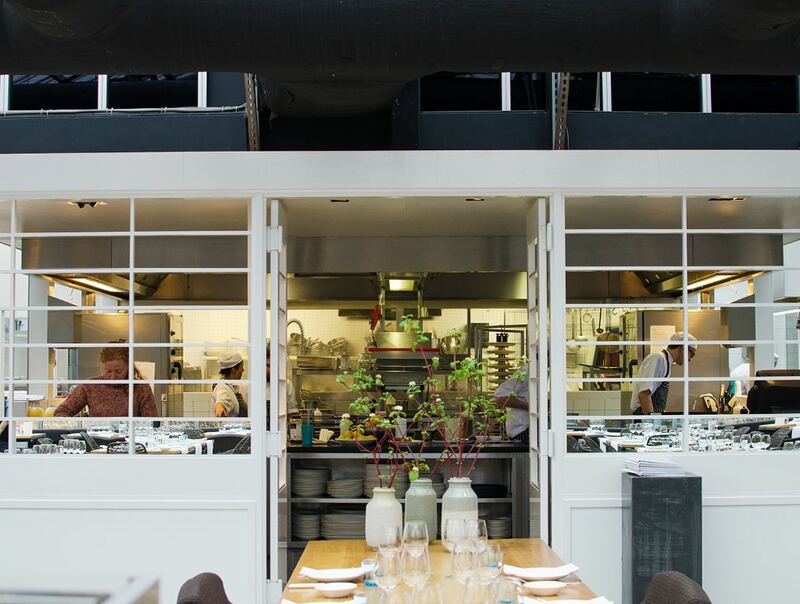 Gerd Jan started out at Vermeer, a well-known restaurant in Amsterdam, eventually winning them a Michelin star. 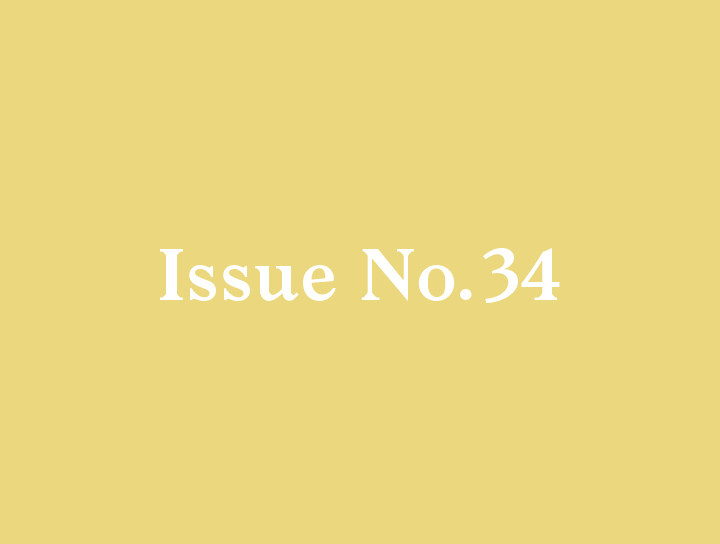 While Gerd Jan excelled in his approach to cuisine, the stressful environment typical of a high-powered Michelin-starred kitchen was not his favorite working environment. 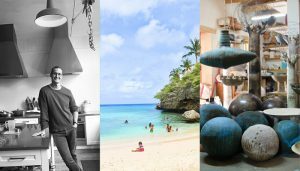 Without any good examples to follow and no idea of how to achieve the environment conducive to his food alchemy, Gerd Jan took a sabbatical to see if he could figure out a better way. Jumping forward a few years, Gerd Jan was at a friend’s farm one summer day and they happened to be cooking on an open fire in the garden. 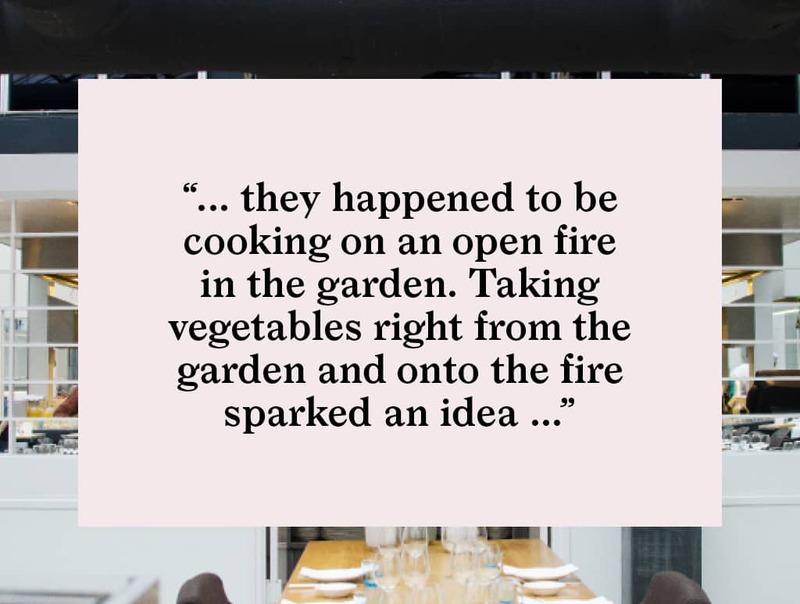 Taking vegetables right from the garden and onto the fire sparked an idea for Gerd Jan of how the connection between farm and table in a restaurant setting could be dramatically altered. Why not integrate these two types of business to create better products and a more efficient flow of activity between the two? With this general concept in mind things gradually began to fall into place. As luck would have it, the old municipal greenhouses in Frankendaal Park that had lain unused for years were made available for development. 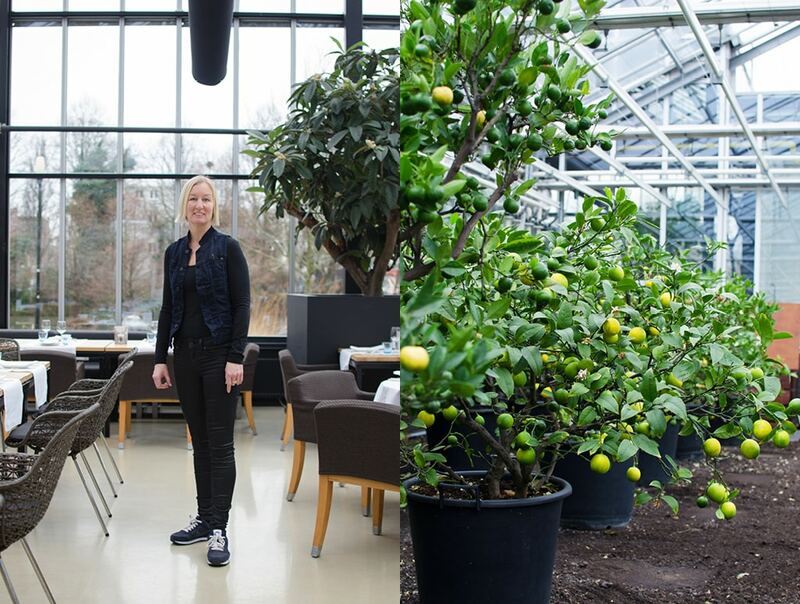 With the help of the municipality, family, friends, and famed Dutch architect Piet Boon, the greenhouse complex was brought back from the brink of destruction and put towards a new purpose. This would be the site of Gerd Jan’s experiment, a greenhouse in the city where food could be grown, prepared and served. It’s almost inevitable that this idea would have taken root in Holland in that greenhouses are quite a big deal here. Holland is where the world’s biggest greenhouses are found and they have a long history. It was the French botanist Charles Lucien Bonaparte who, in the 1800s, built the first practical greenhouses, for the production of medicinal plants, near the town of Leiden just a short distance from Amsterdam. Today a total of 40 square miles, some .25% of Dutch land, are occupied by greenhouses. The number of people employed in the greenhouse industry totals 150,000. 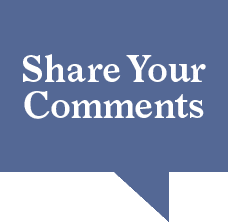 Approximately 4,000 greenhouses produce around 8 billion dollars’ worth of fruit, vegetable, plants and flowers, 80% of which are exported. A staggering number for such a small country. We arrived at De Kas on a fairly dreary and cool day. Stepping inside you understand immediately why everything grows well in a greenhouse. It is light, airy, and warm, with the sweet smell of earth and produce lingering in the air. Before reaching the restaurant you must literally traverse a greenhouse, which nicely illustrates Jan’s idea that the quality of the food prepared flows directly from the healthy beds of fresh of citrus trees vegetables and salad greens surrounding the kitchen and dining room. 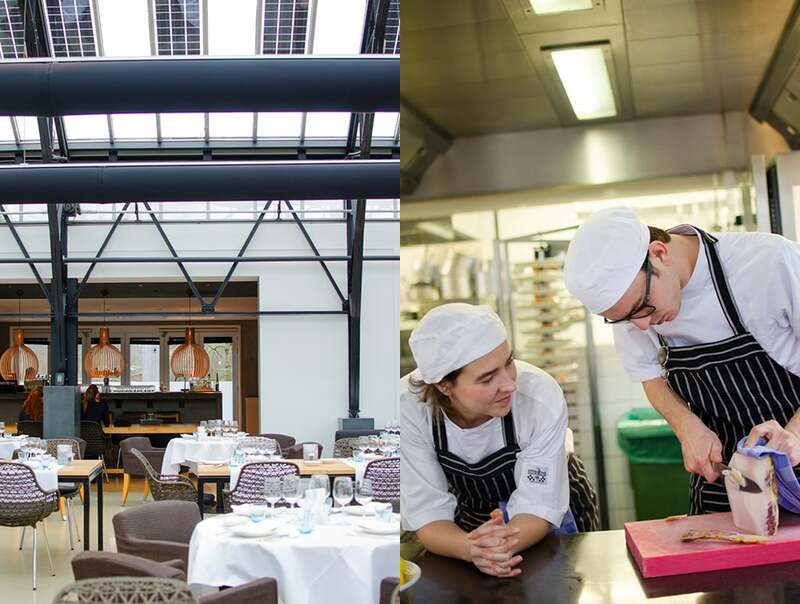 Arriving at the main dining room, the bright ceiling is dramatically lifted to 8 meters. The architecture and interior are modern with a strong sense of practicality, as you would expect of a building with industrial intentions. 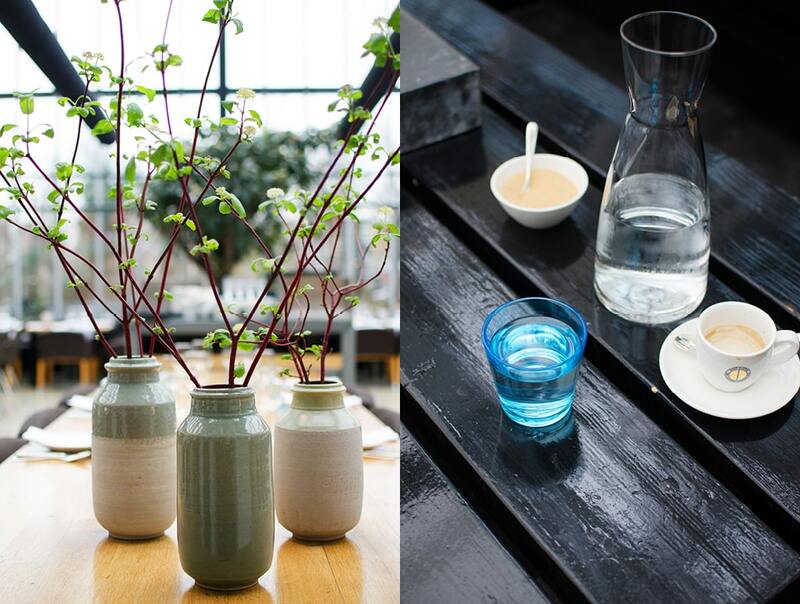 Down at table level, all around the room, settings with simple, colorful glasses are offset with plants, fully integrating diners into the greenhouse environment. Accenting the glass-covered iron roof structure, large sculptural-glass chandeliers hang like floating flowers, giving the room a lovely glow at night. 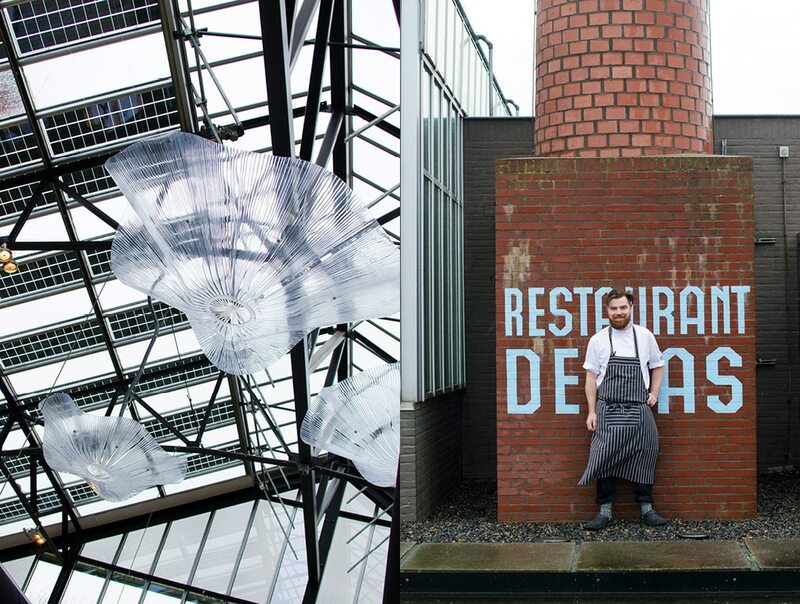 Which brings to mind an interesting aspect of De Kas: The restaurant has two distinct faces, depending on the time of day – a light and airy one at lunch time, while at night, the dark sky covers the restaurant giving the low night-time lighting a theatrical-romantic feel. And at night, the outdoor reflecting pool spanning the length of the dining room is especially lovely as it reflects the light of the restaurant. The kitchen is central to the complex of rooms and provides almost a performative function for the dining room. When we showed up at the door the crew was in full lunch-prep mode. We were greeted by Sous Chef Tommy Corns who hails from Coventry, England and now calls Amsterdam home. 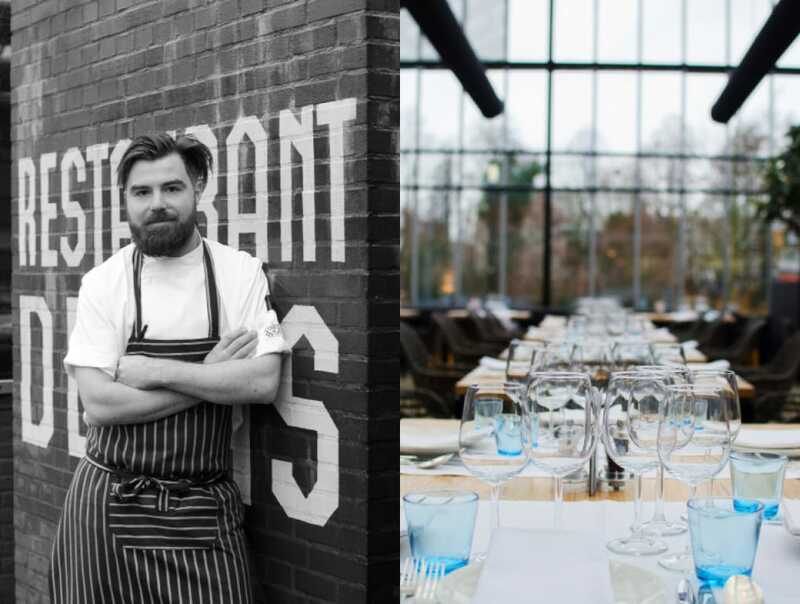 Tommy related that he dined at De Kas on a visit to Amsterdam and right there and then decided that this is the place he wanted to pursue his career. “Ask and you shall receive” they say, and it certainly must be worth a try because Tommy is now part of the De Kas team. Tommy took us through each of De Kas’ rooms. Next to the main dining room is the spacious Garden Room, complete with generous plantings and low seating areas, which give the space a kind of lounge feel. In contrast, just off the Garden Room, the “Business Table” is a quiet, private space, great if you come with a larger group of friends. Next to this is the “Bar Table” which provides a great view onto the dining room (the wait staff was just sitting down for communal lunch when we passed by). Beyond this are extensive out-door patios that greatly increase De Kas’ capacity in the summer months, or for a chilly aperitif at other times. Not for us though. The rain had started to come down at quite a clip so it was nice to stay warm and dry by the fireplace and listen to the soft patter of rain on the roof and watch the patterns of the water reflected on the floor. Onto the kitchen proper and I found my favorite table. Adjacent to the kitchen prep area, Gerd Jan has made accommodations for two to four food aficionados like me. Book ahead for this table and the chefs will create a meal just for you and a few friends as you watch the night’s food performance unfold. From the kitchen I catch a glimpse of someone harvesting from the lemon trees in the next room. 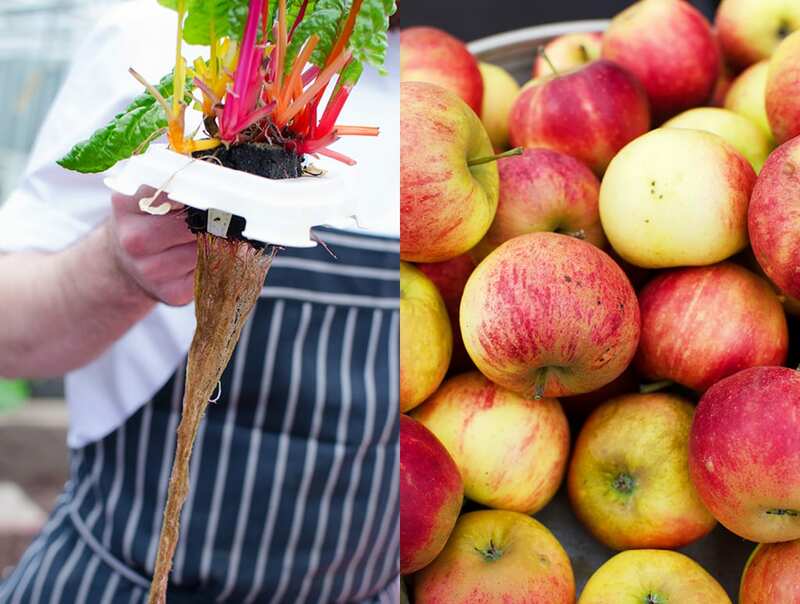 It makes you realize what it takes to get fresh produce to a kitchen every day and the luxury of having much of your resources in-house. 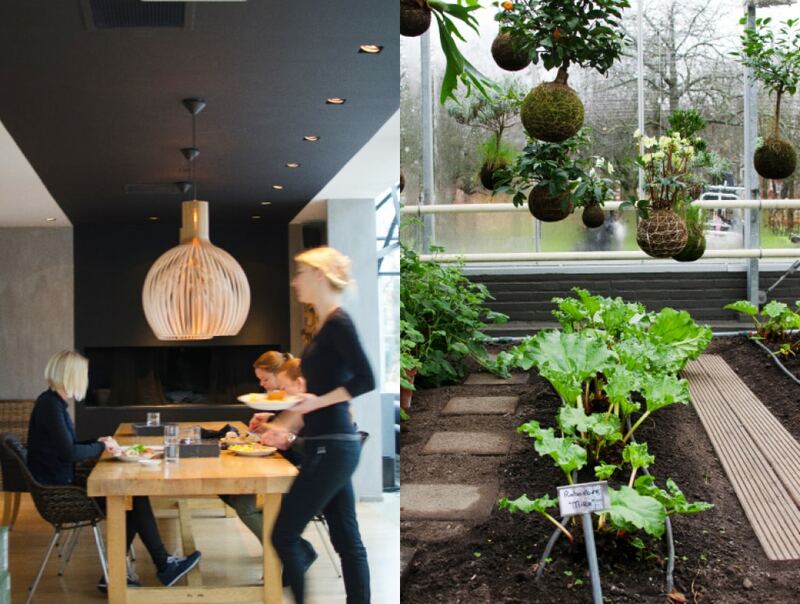 Fresh produce is really the key at De Kas and the thing that grounds the whole proposition. 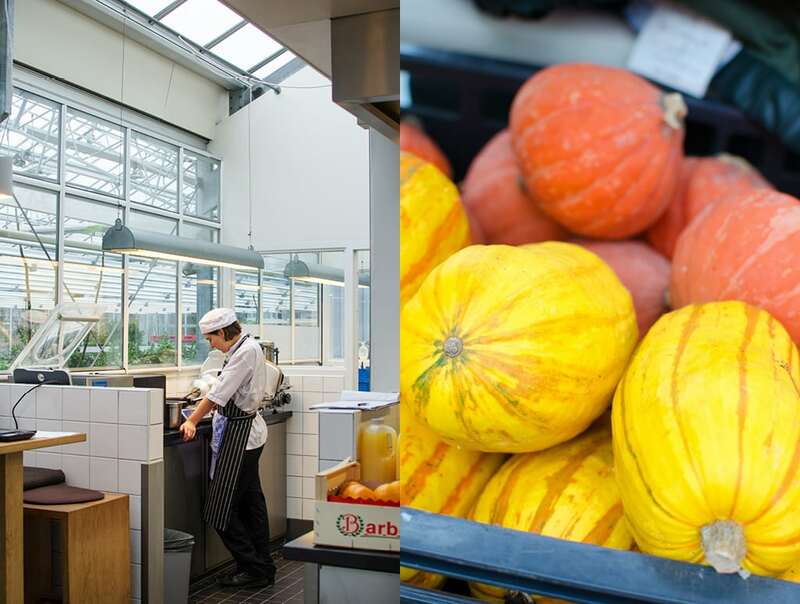 The De Kas greenhouses are supplemented by a larger off-site complex that is needed to keep the kitchen constantly supplied with fresh vegetables. Gerd Jan heads up the operation: working the soil, planting, weeding, and harvesting herbs and vegetables for the kitchen every day. Rushing in, crates of vegetables in hand, Gerd Jan stops for a quick hello before dashing into a meeting. The kitchen staff gather round the crates discussing what might be constructed from the day’s harvest. There are only a few things Gerd Jan’s greenhouses cannot provide, mainly the meat and fish. But Gerd Jan has trusted local sources for these things to guarantee that whatever is served meets his high standard for freshness. Next we get to the best part of our visit, Tommy has prepared some dishes for us to taste. As it’s winter, we start with a salad of root vegetables with a fresh vinaigrette. This salad is a lovely mix of pickled and fresh flavors. Tommy tells us they do a lot of pickling in the kitchen to extend their harvests through the year. The second dish is an earthy broth-based soup. 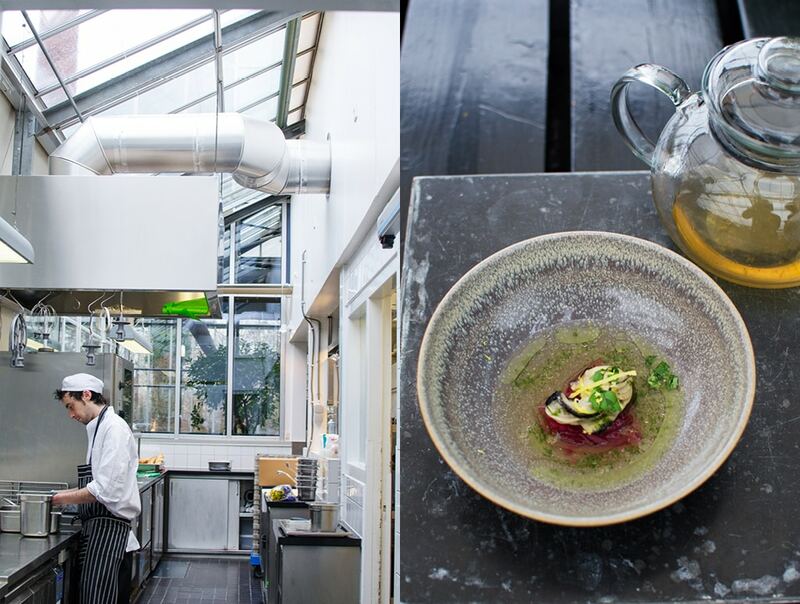 The broth is poured over an ensemble of ingredients from a lovely glass tea pot. A really simple dish at first taste, but fragrance and flavors evolve as you eat. Fish and cabbage blend nicely and fresh herbs combine for a tasty zing at the end. After 13 years, De Kas is still quite a unique proposition. The greenhouse/restaurant combination shows up in various configurations around the world but it is pretty rare. The success of De Kas is revealed in the numbers. Every year over 50,000 guests are served: quite a lot for a relatively small operation. We are already planning our next visit for the summer months. 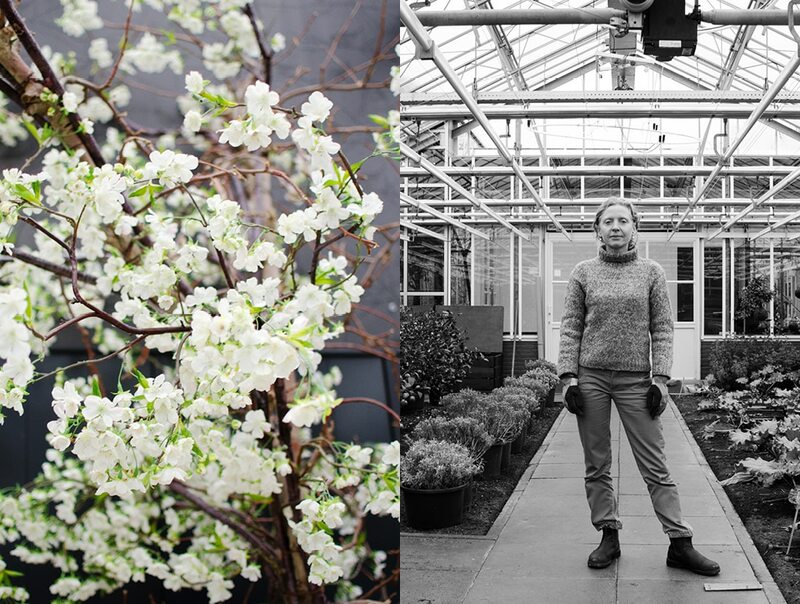 That’s the time when you can tour the full complex of De Kas’ nurseries. 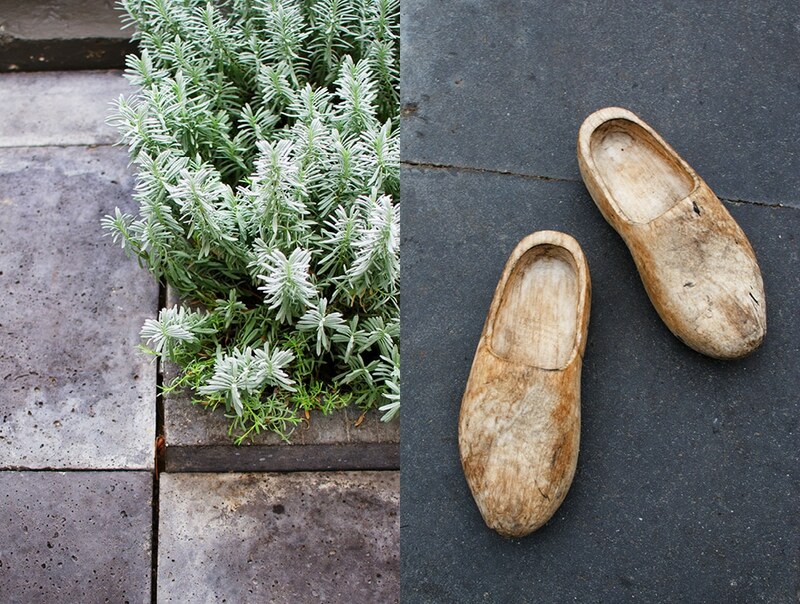 Take a tip from the Bearleader, put De Kas on your to do list for you next visit to Holland.